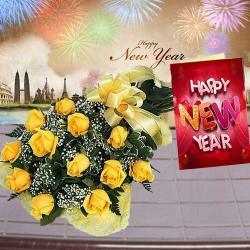 Product Consists : Bouquet of 12 Mix Flowers like Gerberas, Roses and Carnations with some fillers in a cellephone wrapping with a matching bow, Celebration Chocolate Box (Weight :118 gms) along with New Year Greeting Card. 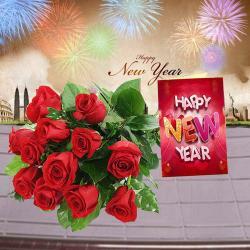 Celebrate New Year with lots of pomp and flair this time. 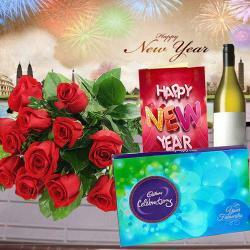 Gift your loved ones stupendous gifts from Giftacrossindia.com that are sure to make their celebration a grand affair. 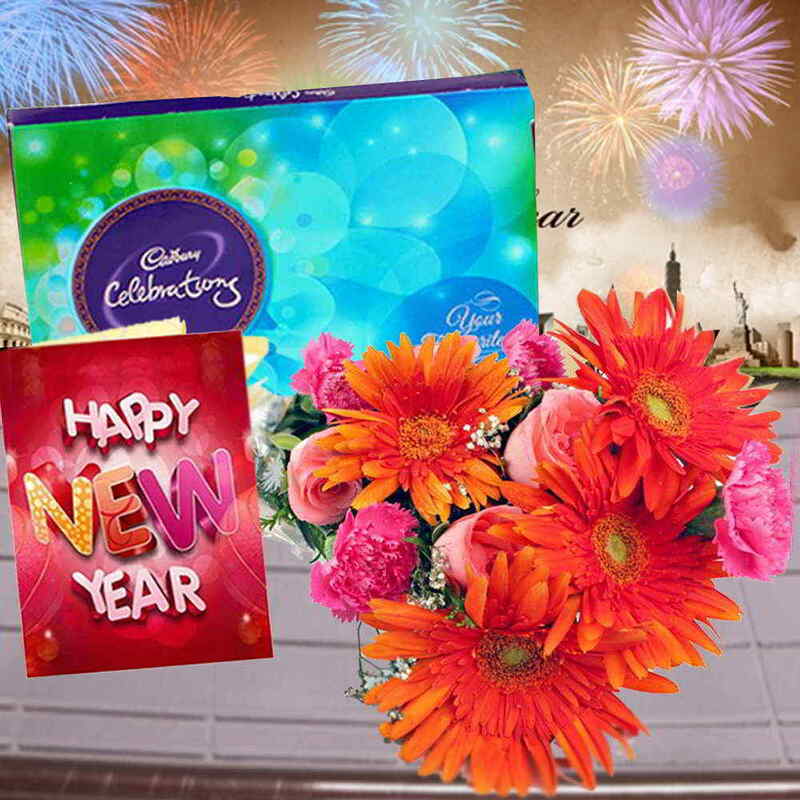 Here is a Box of assorted yummy chocolates from Cadbury Celebrations that is paired with bunch of 12 gorgeous mixed flowers like Gerberas, carnations and roses and an elegant New Year greeting card. This wonderful hamper is bound to warm hearts of your loved ones with your unconditional love. 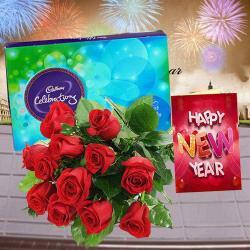 Product Consists : Bouquet of 12 Mix Flowers like Gerberas, Roses and Carnations with some fillers in a cellephone wrapping with a matching bow, Celebration Chocolate Box (Weight :118 gms) along with New Year Greeting Card.